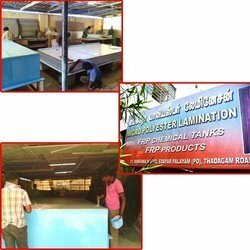 We have a manufacturing facility which is well equipped with the latest machinery and equipment which helps us in making bulk productions. Our infrastructural background gives us assistance in separated parts including designing, manufacturing, quality testing, sales & marketing, packaging and warehousing units. With the use of hi tech machines, it is assured that our products are of the highest quality. Each stage of production is carried out under the supervision of our quality experts.